These days there are seemingly endless devices for brewing coffee at home, which can make coffee gift giving a bit daunting. 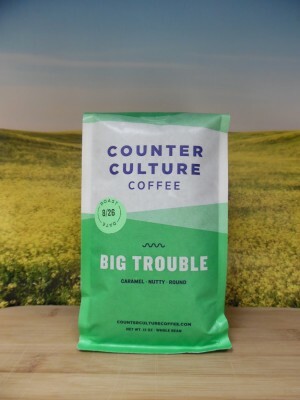 But no worries- we at Roast Ratings have taken some time to think about that, organizing some great gift options for the coffee lover in your life, no matter how nerdy (or not). Starting simple, for those who have yet to acquire any ‘hand-brew” methods there are a few choices out there that make a really solid cup of coffee and also are pretty straightforward to use. The French Press is not only one of the oldest methods of brewing coffee still in use today, it is definitely one of the easiest to make coffee with. Using the ‘full immersion’ technique of brewing, this little guy delivers a rich and consistent cup time after time. 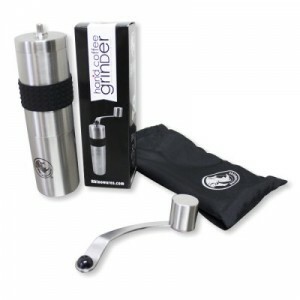 It’s one of the best brewers for beginners as it’s pretty inexpensive, comes in a variety of sizes to fit every scenario and the routine consists of simply adding hot water and waiting 4 minutes. 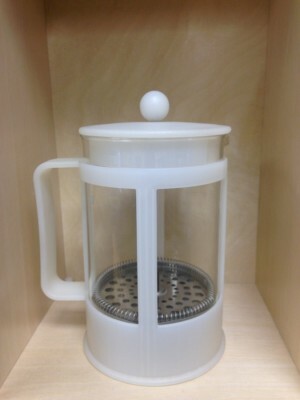 Another similar device is the Sowden Soft Brew. While the brew method is fundamentally the same, the materials are more heavy duty, providing more thermal stability throughout the process. The biggest difference is the laser cut brewing basket, which leads to a softer effect of the coffee grounds and less silty sediment in the cup. 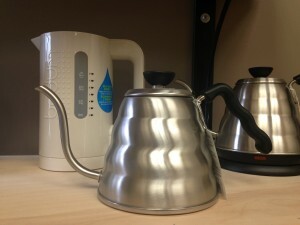 When it comes to pour over devices it can be challenging to really understand the differences between all of them. 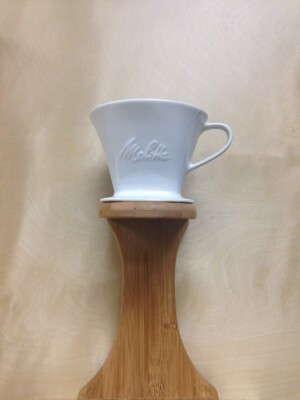 For the first-timer we wholeheartedly recommend the O.G.- the Melitta cone. Created over 100 years ago by housewife Melitta Benz, the dripper was the first to employ a paper filter leading to a nice clean cup. The design is pretty simple, consisting of a ‘truncated cone’ which they make available in a variety of materials. While they all work about the same, our money is on the ceramic version as it will help keep the water temperature stable throughout brewing (which also means a nice, piping hot cup for you!). With the one hole drain acting as a flow regulator it’s pretty easy to get a consistent cup time after time. Bonus- the filters are among the easiest to come by, available from drugstores and grocers everywhere. 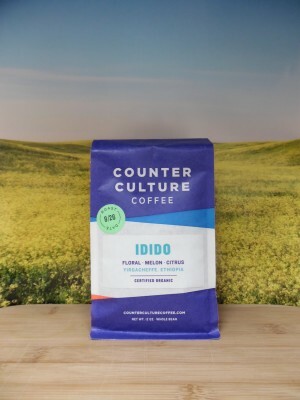 So you’ve got someone on your list that has already started to acquire a small collection of coffee brewing wares but aren’t sure how to get them something they will actually find interesting. Here are a couple of options that offer some versatility to take things to the next level, without getting way too crazy. There’s always time for that later. The Aeropress (of “As Seen On TV” fame) is a great option for those that want to explore the wide world of coffee texture and concentration. One of the easiest brewers to use (& arguably the easiest to clean), the aeropress relies on a combination of stirring and pressure to get the job done. And man, it’s fast too (brew times range from 30 seconds to 2 minutes). The Aeropress is small and easy to travel with and can be used to make coffees near espresso strength, as well as an everyday cup of joe. The only ongoing concern are the filters, but it comes with 300 paper discs and there are reusable options out there as well, like the Able Disk Filter. 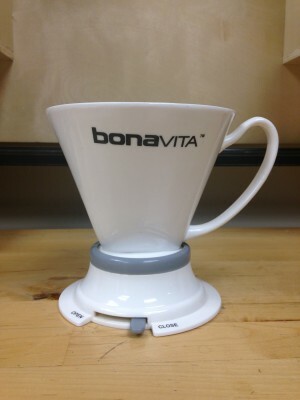 Similar to the Clever Dripper, the BonaVita Immersion Dripper is a ceramic cone designed for a full-immersion brew that is paper filtered, which removes the sediment for a cleaner cup. It’s super easy to use, with a holding gate that can be closed and open at will. But with that feature you also get choices- you can keep it closed to create a fuller bodied cup, or leave it open during the brew to just make a regular pourover too! The filters are standard Melitta #4’s so they’re very easy to find anywhere. When you start making coffee at home, one of the most life altering tools you can get is a grinder allowing you to experience the wonder of freshly ground coffee any time you like. With so many grinders on the market the biggest challenges are grind uniformity and cost. Regardless of what pricing might indicate, not all grinders are created equal, but no worries- we’ve got your back! When it comes to hand mills, they’re an affordable alternative ($40-$75) to the more long term investment of an electric burr grinder ($150+). Some of the hand mills we have tried and liked include the Rhinoware Hand Mill, the Hario Skerton Mill and the Red Rooster, which neatly screws on to any wide mouth Mason jar. While coffee devices come and go, there are a special few that make a huge impact on the quality and consistency of the flavor of your brew. These next few tools are the ones that we have personally experienced game changing moments with in our own coffee journeys. Have you ever wondered why the coffee at your local coffee shop consistently tastes better than what you make at home? Some of it is simply a matter of measurements. 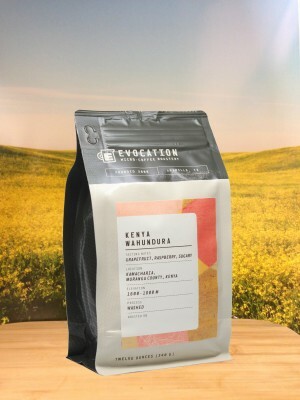 While most people rely on volume measures (“scoops”) for their coffee dosing, the specialty coffee world has been weighing theirs for at least the last decade or so. We coffee nerds typically stick to grams as it provides the most accurate measurement from brew to brew. When it comes to coffee scales there’s no lack of options these days, some with a whole slew of features like timers and different weight units (ounces, pounds or grams). 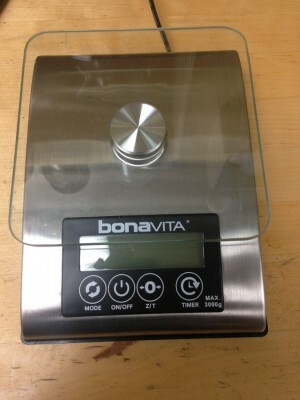 The Bonavita model is a great coffee scale that can run on batteries or can be plugged in, allowing up to 3000g of weight and has a timer that goes for up to 10 minutes. It also makes a great kitchen scale with its ability to shift into ounces and pounds. Now, for the ultimate in nerd wares check out the small and quite portable Brewista Smart Scale. It takes the scale experience a bit further with smart programming options, like automatic taring to ease the pourover process. Another more mobile option is the Hario V60 Scale, which is practically weightless and runs on AAA batteries. It’s a great choice for those on the go. The leading cause of flavor loss is very simple- air. Coffee is a pretty sensitive little bean, so once you break that air tight seal, the flavor begins to diminish. Even though you can’t stop aging in its tracks, you can do some things to slow it down. 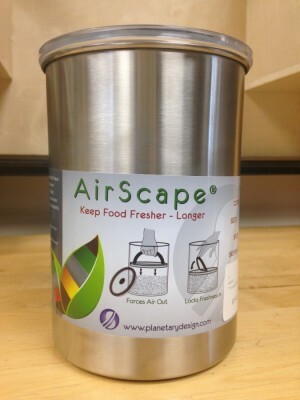 The Airscape container from Planetary Design is a clever contraption designed for just that- preserving freshness for as long as possible. You put your beans in the container and force all of the air out of a small valve as you press down the inner lid. They even took care to make sure it is made from materials that don’t impart flavors and are BPA free. Freshness: the gift that keeps on giving! There are many ways to heat up water and make a cup of coffee but once you enter the realm of pourovers, not all kettles are created equal. While a large electric kettle does and excellent job of getting water to the appropriate brewing temperature, their rounded spouts allow a large force of water to hit the coffee grounds at once, which can lead to uneven flavor in the cup. Enter the gooseneck kettle: the slim spout design allows you to add water at a controlled pace. By taking a little bit more time adding the water, you can make sure the water joins with the coffee in a more intentional way, leading to even more flavors! If the coffee lover in your life has a few cone shaped brewing devices laying around, but only a large mouthed heating vessel, a gooseneck kettle will change their coffee life…forever. While it is possible to make great tasting coffee with simple, inexpensive tools there are items that make precision not only repeatable, but pretty convenient. 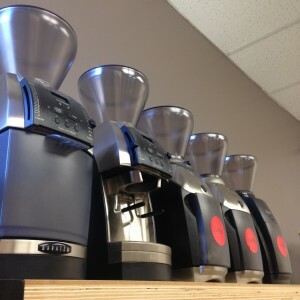 This next group of coffee devices is all about buying something that saves you time and effort without any sacrifice of flavor and – equally important – is built to last. When it comes to getting the best flavor possible in your coffee, the ability to grind coffee at home is a pretty revolutionary advantage. But, electric grinders can definitely get a bit pricey. With so many brands and styles out there it can be very difficult to decide which one is worth the investment. The Baratza line has a grinder for every type of coffee drinker, from ‘Plain Jane’ to ‘Refractometer Joe’. It all depends on what kind of coffee making activities you get into, but they can help you sort that out. And they’re built to last. 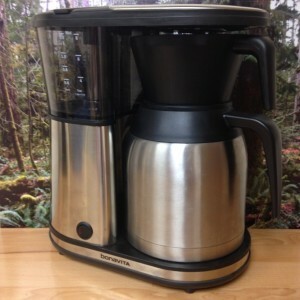 One of the best perks of buying a Baratza is the ease of repair, as they offer replacement parts and even have tutorial videos online so that you can fix your own grinder. Sure, there are countless automatic brewers out there costing less than $100. But, while they can certainly churn out pot after pot of coffee there is one task those brewers can’t quite cope with- temperature stability. This is the biggest dividing line between your average coffee brewer and one of a good quality build. For optimal extraction of flavor, coffee needs a water temp around 200° F and poor old Mr. Coffee is lucky to hit 180°, let alone be stable throughout the brew. Fortunately, with coffee’s hipster factor on the rise, there are a growing number of options that are up to the 200° task. 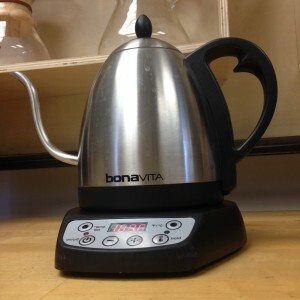 For our ratings, we have become big fans of the Bonavita 1900TS. 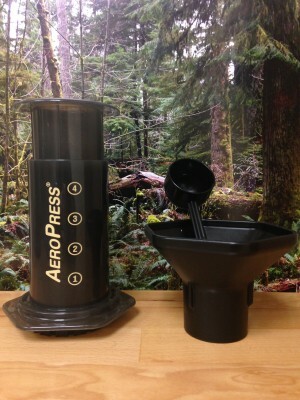 It’s simple, affordable and makes delicious coffee repeatable. For other brewing options we’ve looked into check out our article: Selecting a Coffee Brewer. Yes, this is yet another take on the gooseneck kettle design, but this little guy takes nerdery to a whole new level. While your average electric kettle will heat to boil (212°), the Variable Temp allows you to choose your adventure- down the the degree – and will heat and hold whatever temperature your heart desires. 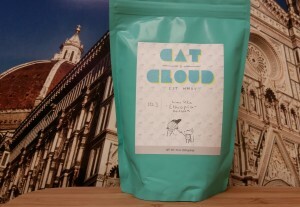 It is currently offered in two sizes: 1 liter and 1.7 liter and is great for the coffee geek who want to run a host of experiments, as well as those who love coffee but also take a fancy to a spot of tea every now and again. What do you get for the coffee lover that has everything? The one thing they will always need: Awesome coffee! 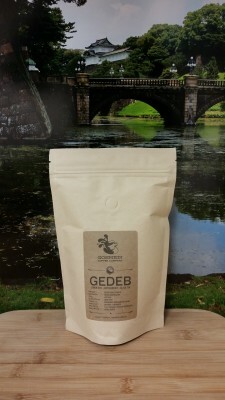 And if you are in doubt about what to buy for a coffee lover, whole bean coffee might just be the best place to start. Here are some 5 Star options that are still available this holiday season! We hope this guide helps you find the perfect gift for the coffee lover in your life (it could even be you!). It can be easy to get overloaded with options when looking for a coffee related gift, so picking a category is an easy way to break it down.